Originally from Limerick, Ireland, Majella Cullinane has lived in New Zealand since 2008. With an MLitt in Creative Writing from St. Andrew’s University, Scotland, in 2011, she published her first poetry collection, Guarding The Flame, with Salmon Poetry. 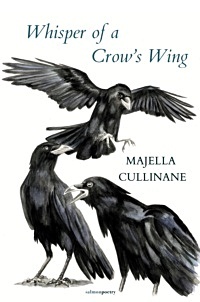 Her poems and short stories have been published in Ireland, the UK and New Zealand. In 2014 she was awarded the Robert Burns Fellowship at Otago University, and in 2017 was the Sir James Wallace Trust/Otago University Writer in Residence at the Pah Homestead in Auckland. She won the 2017 Caselberg International Prize for Poetry, and has been shortlisted for the Strokestown and Bridport International Poetry Prizes. the shadows of our hands like wings, playing with the light.